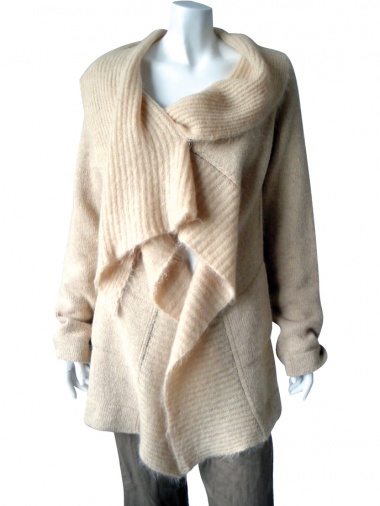 Maxicardigan in ecofriendly wool, ribbed caped collar. Fastener by snaps in metal. Strap with applied zip to adjust back.